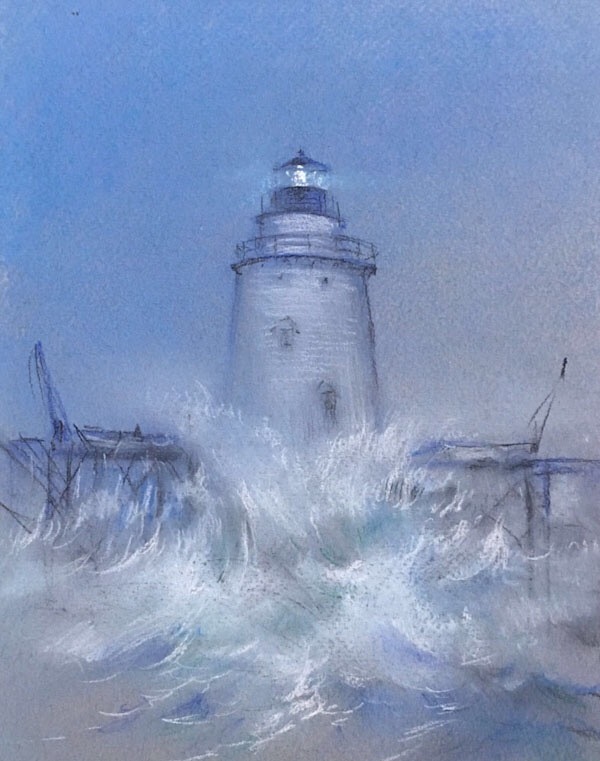 Here's my latest underway, a 12x24 inch oil of the Castle Hill Lighthouse. There's more to do, some foreground work and the fishing boat, some fussing here and there. I'm happy with it. What do you think? 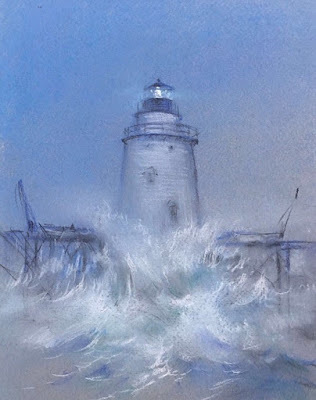 This is the Sakonnet Lighthouse as I imagine it looking from the south under heavy seas. It's a small pastel, ready to finish up soon. Please click here to view the web version, the artist's preference. Thanks for dropping by here and taking a look at my work! I'm painting full time and glad for it. I hope you will check back often. I would be happy to hear from you. Write or call! Art here is available through the artist and other work will be available at various galleries.